Purchase online in India HM-10 BLE Chipset Original at low cost from DNA Technology, Nashik. The HM-10 Bluetooth module combines the powerful and programmable Texas Instruments CC2541 Chipset with the required components to start right away with your BLE development.The module offers an on-board voltage regulator and is TTL-level and 5 V tolerant. 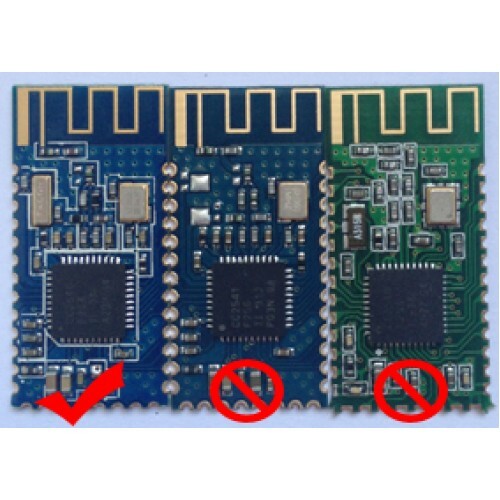 The Bluetooth-SoC can be accessed via UART interface and supports AT-Commands for setup. 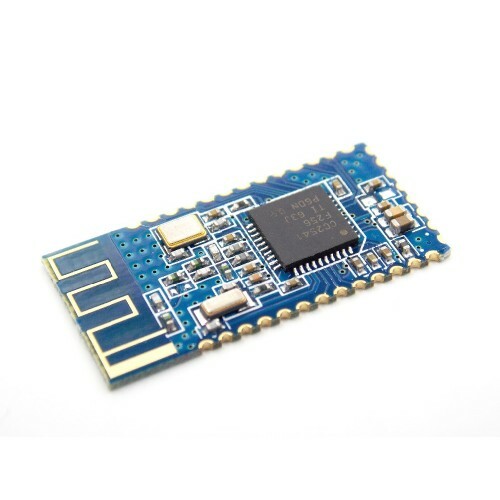 It supports full Bluetooth 4.0 standard and can be used for your Arduino or microcontroller to Android or iOS communication projects.This module can be used to replace HC-05, HC-06 and HC-07 devices.This module can also be configured and used as an iBeacon for used with Apple devices. Power: In sleep mode 400uA~1 .5mA, Active mode 8.5mA.